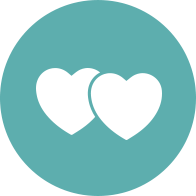 CROSSPATHS is a mobile dating app that helps like-minded Christians meet, relate or date. Meet online, connect on faith! Tell us about your level of faith and meet someone similar. Meet people face-to-face at one of our sponsored mixers or social good events. Start chatting for free to see if there’s any chemistry, and maybe even meet up in person. We verify each and every profile to ensure safe matches who you can trust are real people. Connect through Facebook and we’ll set up your profile instantly! Our Mutual Matching technology only connects you if you’d both like to meet.